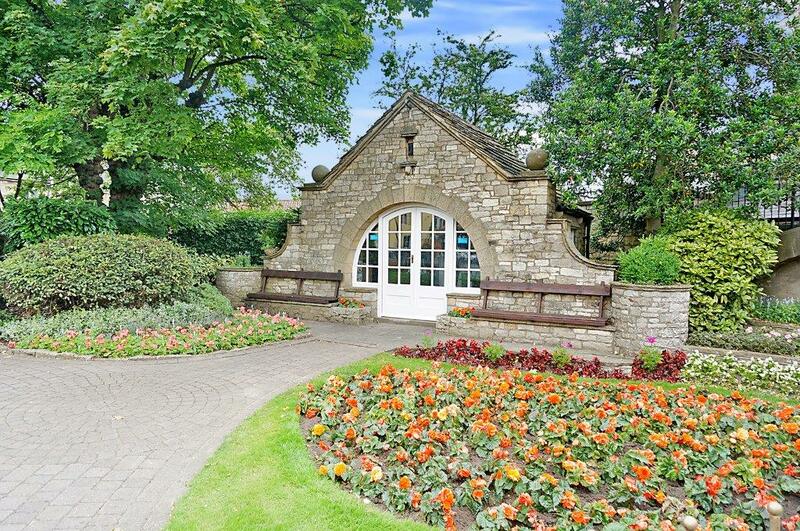 Wetherby is an historic market town situated on the banks of the River Wharfe in attractive Lower Wharfedale. Mentioned in the Domesday Book as "Wedrebi" and granted a Royal Charter for its weekly Thursday produce market in 1240 which continues today. 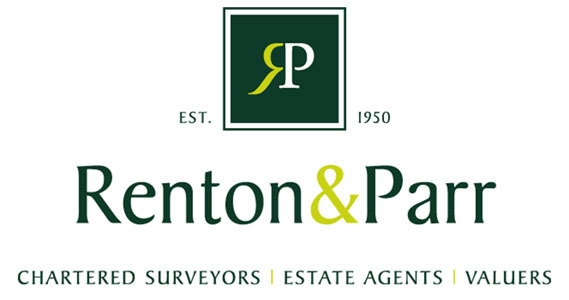 The town is steeped in history and is the business centre for the surrounding farming district. Wetherby is an excellent shopping centre. Accessibility. Situated almost in the centre of the renowned "Golden Triangle" and almost midway between London and Edinburgh on the main A1. Leeds is within 13 miles, York 14 miles and Harrogate 9 miles. Access to all parts of Yorkshire have been much improved by the opening of the A1/M1 link road together with existing links via the M62 and A64. Wetherby does not have its own rail connection but main line stations are available in York, Leeds and Harrogate. Bus services link Wetherby with York, Leeds, Harrogate and other surrounding towns and villages. National Express coaches may be connected for London, Scotland, many provincial cities and various coastal resorts. The nearest airport is Leeds/Bradford at Yeadon. The ferry port at Hull gives excellent links across the North Sea. Sport & Recreation. 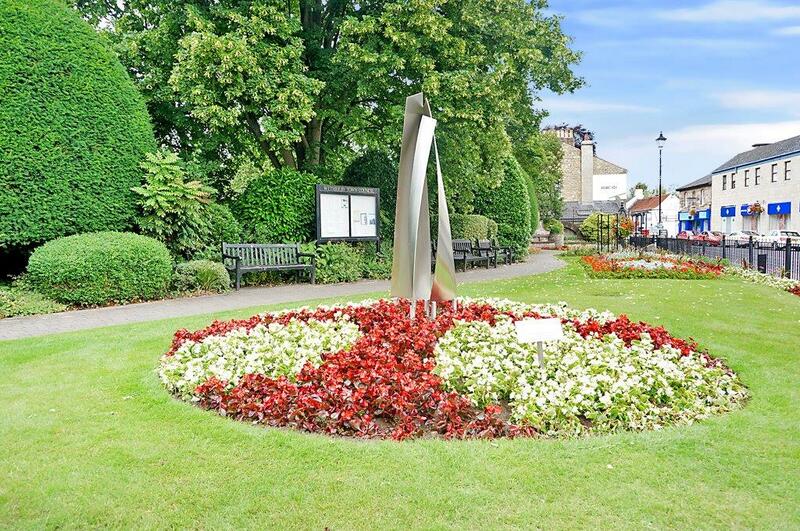 Wetherby and the surrounding district provide a miscellany of sport and recreation including angling, soccer, rugby, hockey, cricket, tennis, bowls, motoring and other sports. There is an indoor swimming pool with health suite and an 18 hole golf course. 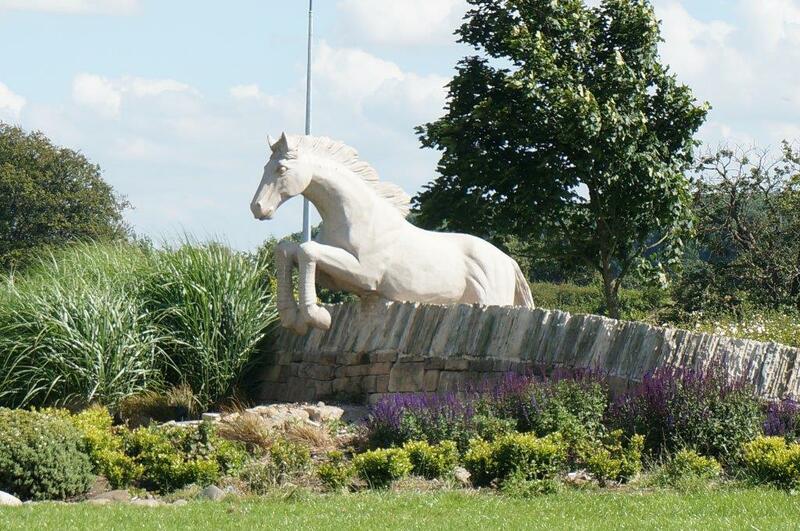 Wetherby Racecourse adjoins the A1 and various meetings are held under National Hunt rules, some are televised. Riding is popular and the area has many miles of bridle paths. The area alongside the river is attractively landscaped and features include a weir, a restored mill wheel, bandstand and picnic area. There are a large number of signed footpaths in the area, many of which radiate from the town. 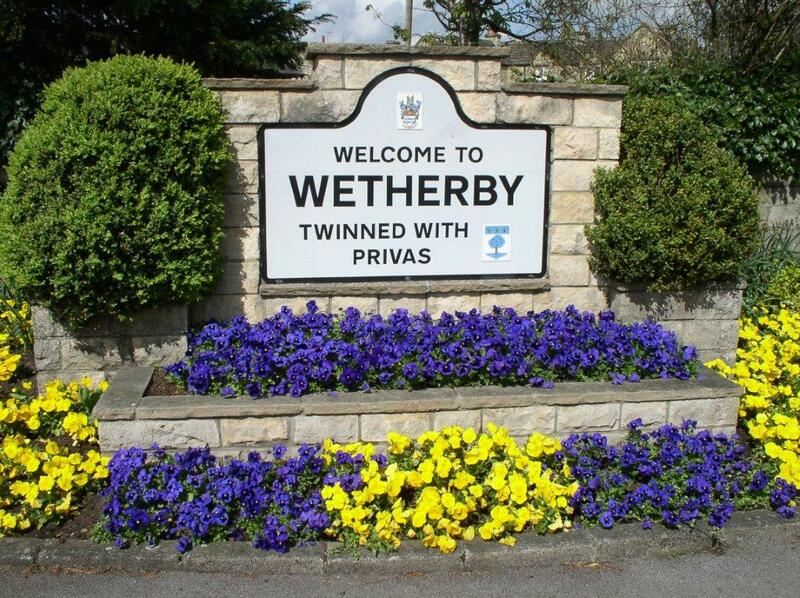 Wetherby is situated on the Ebor Way which is a 70 mile walk from Helmsley to Ilkley. The Harland Way is a 3 mile long footpath and cycle route which runs between Wetherby and Spofforth, parallel to the A661. It was opened in 1993 along the disused railway track and it is hoped that in the future there will be extensions to Harrogate and York. Indoor Entertainments and Recreations. Dances, whist drives, musical and dramatic performances, socials and club meetings are held in local halls. Table tennis, squash, darts, etc. are also popular. The Wetherby Stereo Film Theatre shows the latest films from its Caxton Street site. Societies and clubs cater for numerous recreational and leisure activities, as do the youth clubs and local branches of national youth organisations.